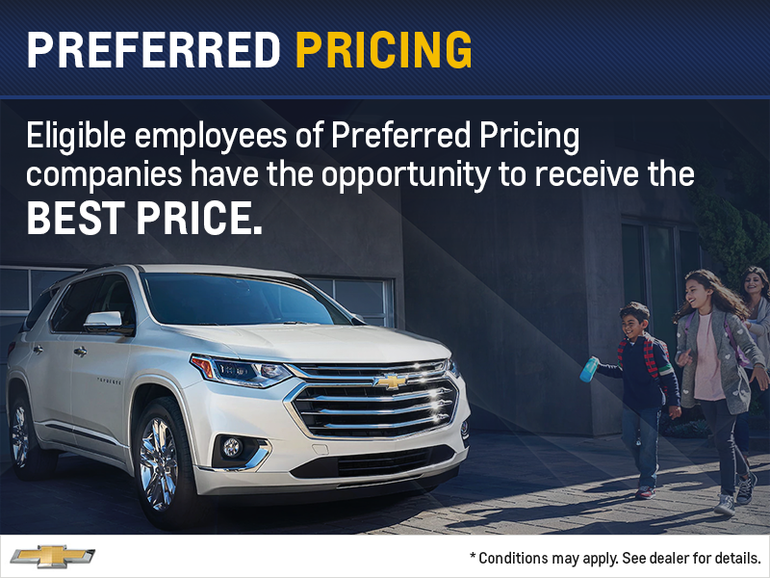 Eligible employees of Preferred Pricing companies have the chance to receive a GM employee price on their purchase, lease, or finance of an eligible new Chevrolet or Cadillac vehicle. This offer applies to yourself and your spouse on the purchase of up to 2 vehicles at discount within a calendar year. You can save even more by combining this discount with our other offers! Hurry, your new Chevrolet is waiting.